Kickstart your real estate career. 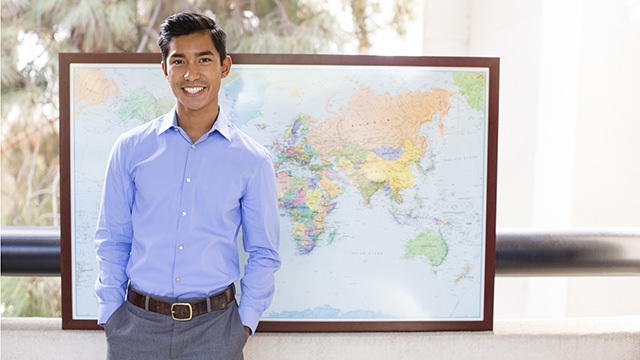 Employers seek out USD real estate students because of our reputation for developing knowledgeable, hard-working and highly ethical graduates. Our faculty, staff and industry professionals at the Burnham-Moores Center for Real Estate (BMC) will help you seize these opportunities. A dedicated team at the BMC will help you create a personalized behavioral profile to demonstrate which career paths best fit your unique values and personality. Once you're a bit further along in your studies, we'll connect you to real estate internships and mentorships that provide authentic work experience, while helping you build valuable professional relationships. And when you're ready to make your move to a full-time career, we'll be with you every step of the way. From helping you understand career options to connecting you with industry leaders to conducting mock interviews. We'll do everything we can to ensure your success to help you build your future in real estate. Hire a USD real estate student. Employers seeking to hire USD business school students for an internship or on a full-time basis can post career opportunities on the USD job database, Handshake. Employers may also contact Jackie Greulich, associate director, real estate student and career services, at (619) 260-7619, or John Ferber, manager, real estate committee and continuing education, at (619) 260-7513. Land a job before you graduate. 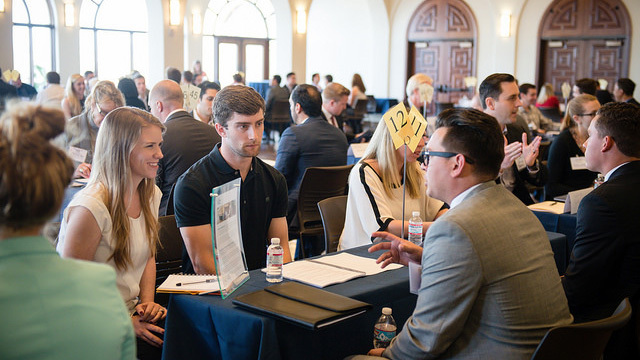 Our annual Real Estate Career Expo introduces job candidates to prospective employers in a speed-networking format. Find your real estate guru. The Burnham-Moores Center for Real Estate's mentorship program pairs real estate industry executives with our real estate students according to shared areas of interest.